Distributed free of charge at OHS sporting events, the program guides are published in three editions: Fall, Winter, and Spring. 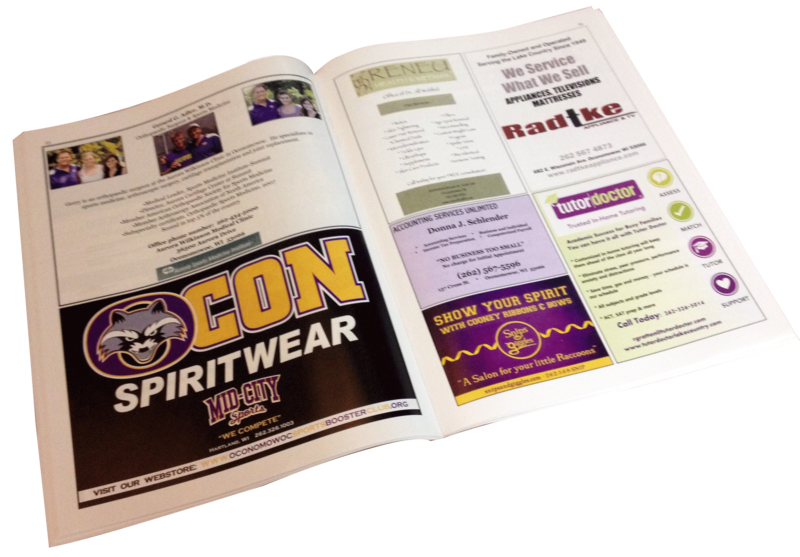 An ad placed in the Fall edition runs in the other two additions as well. Fans of visiting teams can also receive guides. The guides are a major fund-raising tool for the OSBC, which channels the net proceeds to the various Cooney athletic teams. Last year that total was more than $16,000. Last year the OSBC, as a result of its array of fund-raising events and programs, was able to provide those programs more than $75,000. Since 2002-2003, OSBC has donated over $770,000 to the athletic programs at OHS. Read more about that support. By the time the sports calendar year ends next spring, an estimated 20,000 people who have attended Cooney sporting events and while not every attendee takes a guide, they are readily available. Each guide contains team photos and information on varsity and junior varsity teams competing that season. They are designed to recognize the athletes, coaches, allied support personnel, and the school system, and to show appreciation for the advertisers and sponsors whose financial generosity makes possible the club’s financial support of those teams. Last year more than 120 area companies, businesses, and organizations placed ads in the program. Those ads ranged in size from a full page to 1/8 page. Purple, Gold, and Platinum level advertisers also have their names announced at selected varsity events, plus two free season passes to all high school sporting events. The costs for the ads range from $30 to $65 for a listing to $2,000 for a cover. Full page: 9 1/4 H x 7 W.